Hand harvested into 18 kg plastic-crates. Sorting table is used. Skin contact maceration at low temperature. Alcoholic fermentation in stainless steel under controlled temperature. Periodical pump over and punch down is made. Aged in 300L oak barrels for 12 months. 85% French, 15% American oak. Wine settles in bottle at least for six months before release. 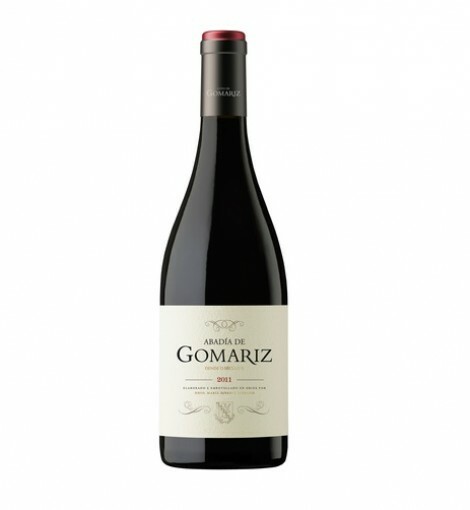 Abadía de Gomariz is a blend of hand harvested Sousón, Brancellao, Ferrol and Mencía from south-facing, terraced vineyards planted in granitic soil in the Avia valley on the Atlantic coast of Spain. The Continental and Atlantic climate give these wines powerful acidity and produce very powerful and ripe wines. Ripe blackberry aromas and flavors are structured by plenty of fine-grained tannins. Tasting notes (Josh Raynolds) Bright violet color. Spicy dark berries and cherry pit on the pungent nose, with a peppery nuance adding spicy lift. Minerally and focused on the palate, offering bitter cherry and cassis flavors and a hint of medicinal herbs. Gains sweetness with air and finishes precise and long, with sneaky tannins adding grip.